My name is Paula, and I am 35 years old. I was born with cerebral palsy, and today I’d like to share my story. As a young child and into my teens and beyond my disability never really bothered me, I took it in my stride, and got on with it. I started university, and managed to complete a degree despite the daily struggles of living with a disability. I passed my driving test, and began to love the sense of independence this afforded. At the age of 20 my carefree attitude began to disappear, and reality hit. 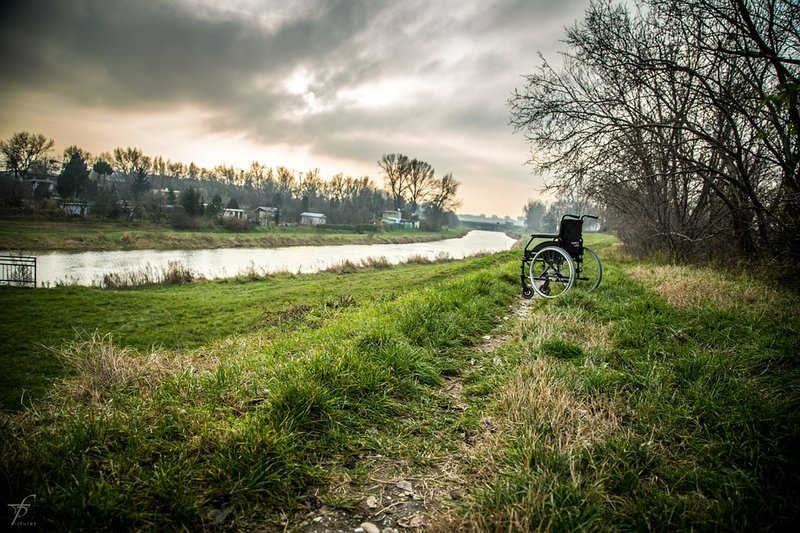 Sadly, I began to have more mobility issues, and that sense of independence began to fade. I had to use my wheelchair full time for a good while, but was never going to be beaten. I was determined, and after intense physiotherapy, and significant blood, sweat, and tears I worked my way through a walking frame, crutches, two walking sticks, then one walking stick. I could never get back to walking unaided, as I had before. Despite all this my university degree continued, and I graduated with a respectable degree. Following on from this I suffered an injury, which knocked me off my legs again. This time despite my best efforts, I sadly could only progress to the use of two walking sticks. I use my wheelchair now more than ever, however this is not necessarily a negative experience. Although I struggled with my decrease in mobility for some time, and if I am completely honest still struggle with it, using the wheelchair does allow me to be more independent at times, as I do not have the anxiety of falling, or pain from arthritis. Following the completion of my university degree I have managed to secure employment, and have been lucky enough to secure a number of jobs since. I have had a very positive experience of working despite my disability, and have encountered very supportive colleagues, who have also become my friends. I am not going to lie and say that it is always easy, because that would be unfair, but a positive attitude, good friends, and the social aspects of working do help. I very much feel that working whilst dealing with a disability on a daily basis will always be a challenge, especially as the workplace alone can bring with it physical challenges before the duties of the job are considered. However, speaking from experience I find that with the support of colleagues, the majority of barriers do not have to become the issues we think they are. Working also allows for social opportunities, which at times can be difficult for individuals with a disability, as social situations can simply seem like to much of an effort when juggling daily needs, and general tiredness, and pain levels. Personally, I have also enjoyed the holidays that working allows me to afford. I have made some lovely memories during these times with both family and friends. My life is by no means perfect, nor am I an exceptional person, however I would like others to see that despite disability, it is possible to achieve. I'd like to know: does disability really have to be negative, or can it be turned into a positive when in my opinion a disabled person achieves more on a daily basis, as the achievements are coupled with daily struggles? Does this make disabled people more resilient and determined to succeed?